I made a few changes to the dress of the daughter because she was lacking shape and was starting to look blocky in terms of her silhouette. The dress is now hugging her waist more this time around like in the concept art for her character. 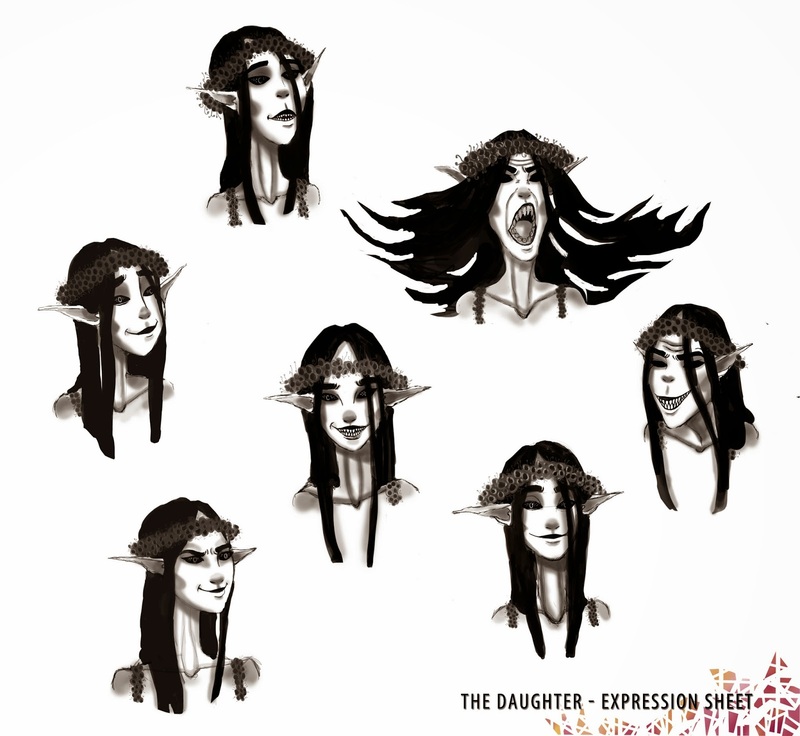 I have also updated the facial expressions to include her mushroom crown and the top of her dress.